A quick post as I’m running out the door but United sent an offer for Chase United MileagePlus credit cardholders who can earn 10,500 United miles after just two car rentals with Hertz. I value the 10,500 miles at around ~$150 dollars so this is a pretty substantial offer for a car rental promotion. I don’t have time right now to look up rental rates but if they are in the ballpark of what they normally are or comparable to other sites (Kayak, Costco Travel, Autoslash..) this could be a very good deal. As of this writing (9:40am EST) there were still 76 spots available. I imagine this will go quick as most diehards would love to the opportunity to be a football player for a day, mingle with ex-Giant players, have dinner/non-alcoholic drinks included and earn a Giants jersey. For only 10,000 United miles (which I value around $150) this seems worth it to me if you are a Giants fan. I’m a big NY Jets fan (and season ticket holder – please don’t bring up the fact we don’t have a QB) so I won’t be participating in this but it sounds really, really cool to me. I generally don’t advocate the use of airline miles outside of flights but the value here seems pretty good for what could be a once in a life time experience (not mention it includes a NYG jersey which is probably worth $100 by itself). United is offering MileagePlus customers 1,000 United miles for downloading the free Prosper Daily app (formerly BillGuard) and creating an account. I was able to download the app and signup for a free account in under 5 minutes. You will be asked to provide your mobile number so a link will be sent to you to download the app. I believe this is the only way to make sure you get the 1,000 miles – simply downloading the app directly from the iTunes or Google Play store will not work. Download the app via the mobile link and signup for an account (no SSN required). I choose to link one rarely used credit card to the app to test it out but per the terms & conditions (see the relevant piece below) you only need to download the app & register for an account for the 1,000 free United miles. The miles should appear in my account in 6 to 8 weeks. In the past you used to be able to earn United miles for obtaining a personal loan through Prosper (maybe you still can? )- this offer has nothing to do with that and is simply an easy 1,000 miles for downloading their app and registering. I don’t think I’ll use the app going forward but for 5 minutes of work, I say this is worth it for the 1,000 miles. 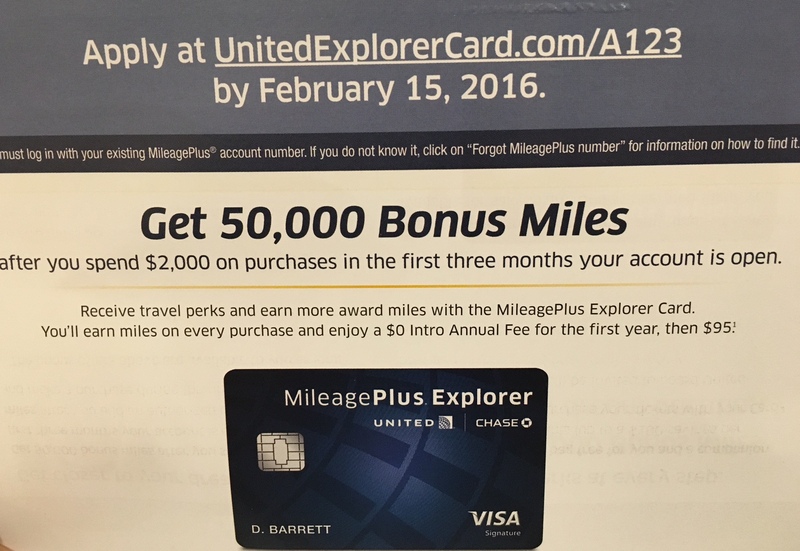 In the past, I’ve posted about a way to generate a targeted offer for the United MileagePlus Explorer card with a 50,000 mile signup bonus which involved shopping through United’s shopping portal. 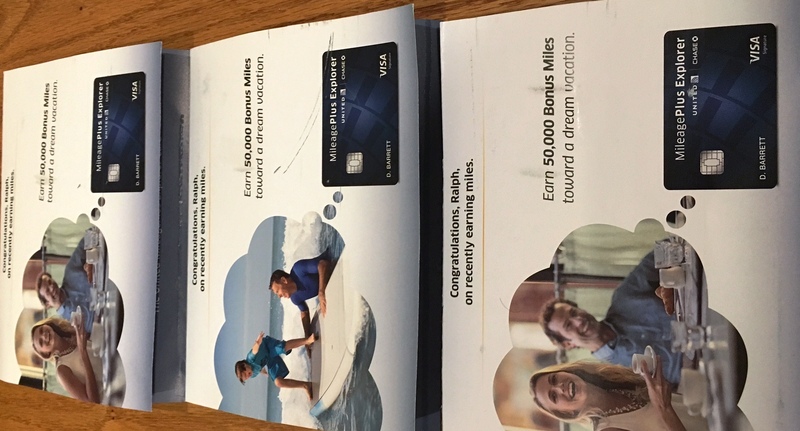 A lot of people had success with that approach and I attempted it for my wife recently as I would like her to apply for this card since it has been past 24 months since she received the signup bonus and we are running a bit low on our United miles. The public signup bonus is just 30,000 miles and I only wanted her to apply if she received the 50,000 mile offer. 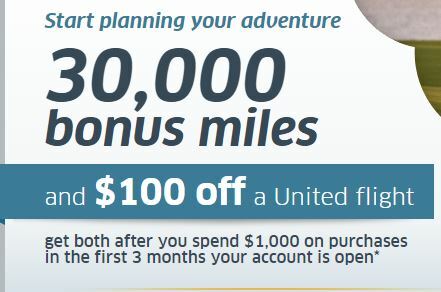 My wife just got her mailer (from trying the approach mentioned above) in the mail but it looks like United has rolled out a new offer I have not seen previously: 30,000 miles + $100 off a United flight. While this offer is an improvement over the public signup bonus of 30,000 miles, I’d still much rather have the 50,000 mile offer on this card for two main reasons. The first being the additional 20,000 miles that come with the larger signup bonus are worth significantly more than $100 – depending on your valuation, they are worth anywhere from $200-$300. Secondly, the $100 off sounds nice but you will most likely be paying something out of pocket for a United flight unless you happen to find a flight right around $100. 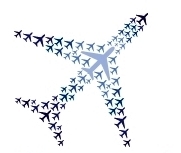 I don’t like paying for flights and if I did, I’d rather it be on Delta or American where I still have hundreds of dollars in gift cards stockpiled thanks to the airline credits from the America Express Platinum and Chase Ritz Carlton cards. In short, while it’s nice to see an offer that is better than the public signup bonus, my wife will be passing on this offer and waiting it out for a 50,000 mile offer. For anyone who is currently considering the public 30k offer, I’d advise waiting for a 50k offer but if you must get the card now, at least check this link to see if you also get the $100 off a United flight. 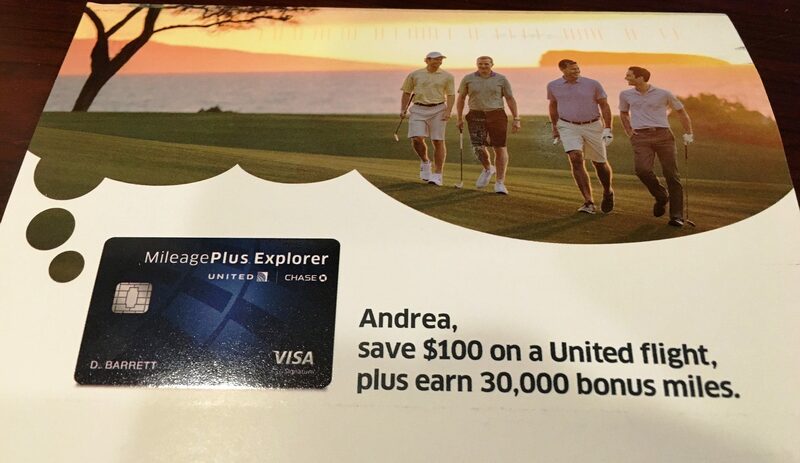 A few months ago I posted about a 50k offer I received for the Chase United MileagePlus Explorer Visa and as I noted, there seemed to be one telling clue on how I got the offer. 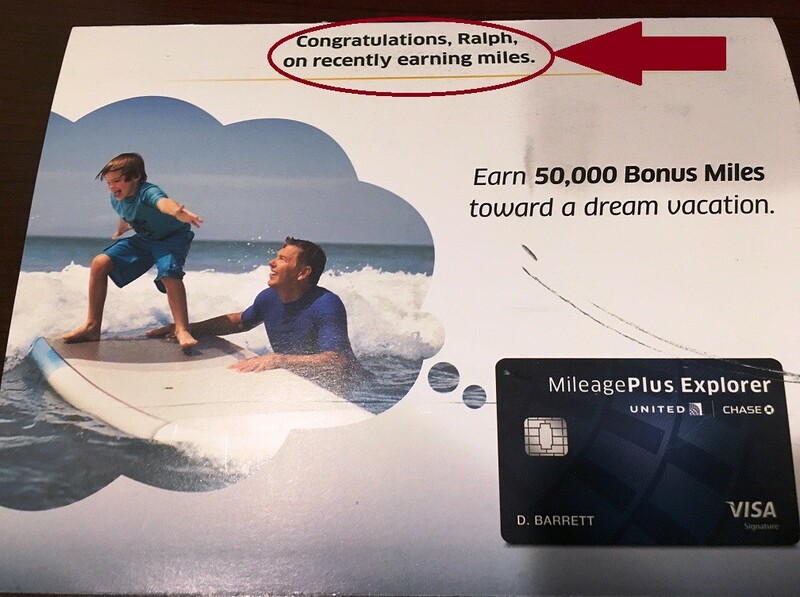 On the top of the mailer, it stated “Congratulations, Ralph on recently earning miles” and by looking at the activity in my United account, I was quickly figured out it was related to online shopping done through the United MileagePlus Shopping portal. I suggested back then that others try shopping through the portal to generate an offer but I wasn’t sure if that actually would work. With the help of some clients and others, I can confirm in most cases, earning miles via the United shopping portal will result in a targeted mailer for a 50,000 point offer a few weeks later. To test this out, I asked several clients who were looking to get this credit card to make a purchase of any size through the portal and track if/when they got a mailer for a 50,000 point offer. In these examples, some clients previously held the Chase United Explorer card (myself included) while others did not. One person even had just created a United account recently and never had any activity with United before. In almost all cases, everyone reported receiving a mailer about 2-3 weeks after the miles posted to their account. I feel rather confident in suggesting this as a solid approach to try and earn a targeted offer for a 50,000 point signup bonus (and 5,000 bonus points for adding an authorized user) on the Chase United Mileageplus Explorer Card. Of course I can’t guarantee this will work but in my testing with clients, I’ve covered most of the scenarios, it seemed to work for many people and there is little to no downside to trying this. Remember though if you are a former cardholder, this bonus offer is not available if you received a new cardmember bonus for this card in the past 24 months. If anyone else has experience with getting a targeted offer for this card, please let me know in the comments!